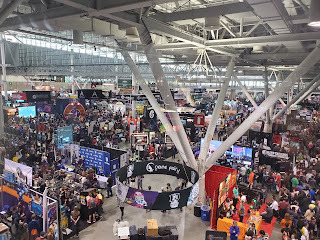 In a previous article I had discussed the core PAX East experience as you wander the halls of the massive BCEC in Boston, but what about the chance to socialize and have some fun outside of the con? 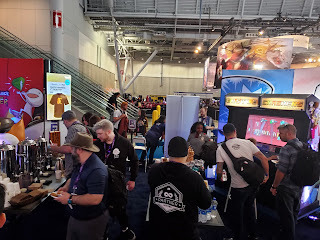 One of the great things about the PAX East ecosystem is that developers and the community itself organize tons of events for chances to let loose and have some fun. 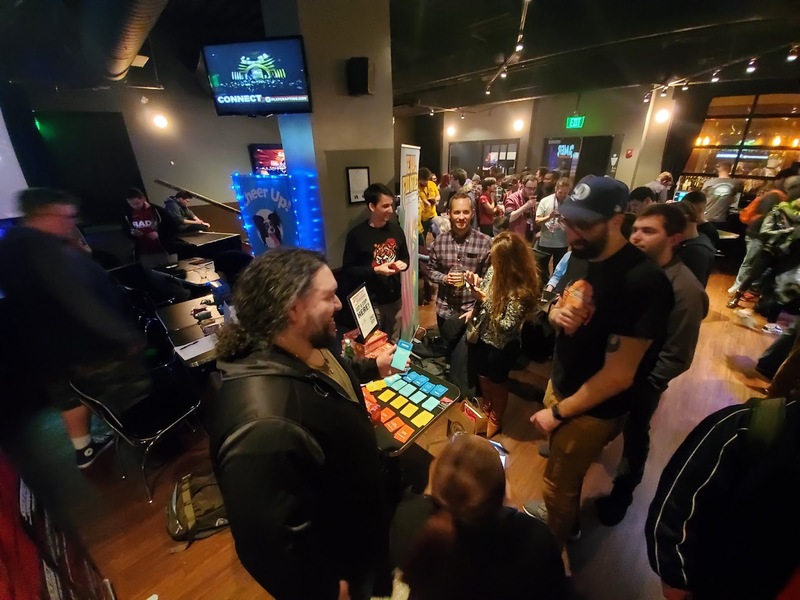 Every year there are a number of consistent events at PAX East that offer a wide range of fun activites from Board Game nights to pubcrawls. These events are a way for PAX goers to meet and have some more social and personal experiences together outside of the crowded Expo halls. Pre-PAX dinner – this is completely community run and, while I did not attend this year, I have gone many times in the past. This dinner is a ticket based event that includes all fees to get a full meal (drinks not included). There are always raffles and plenty of laughs. Pre-PAX boardgame night – This is a pretty spectacular event held in the Westin Waterfront Hotel’s massive main meeting room. The hotel provides the space for free which is crazy and really appreciated. At this event at least 100+ PAX goers gather the night before the show and play ad-hoc boardgames/D&D or whatever for hours until it closes off at midnight. The hotel even provides a cash bar if folks want to drink while they play. For those staying at the Westin or nearby hotels this is a mainstay event and not to be missed buy the PAX Regulars and newbies alike. There is nothing like sitting in on a great game with strangers who become friends by the end of the night. Frequently I bump into the folks I met during the show and we high five in passing as new buddies. Pokecrawl – Another mainstay of the PAX experience and in it’s 10th year of operation. The Pokecrawl is a Pokemon themed pubcrawl where donations are accepted over the night to raise money for Child’s play. This year we raised $4424 for the charity which is a typical amount for the Crawl. The point of the crawl is that 8 teams of approx. 30-40 people representing different Pokemon split up and hit bars two teams at a time on a prescribed route. At the bar there are fun challenges we have to pose to the other team. Once the time is up we move on to the next bar. Each team has a professor who sells items for donations to raise money. 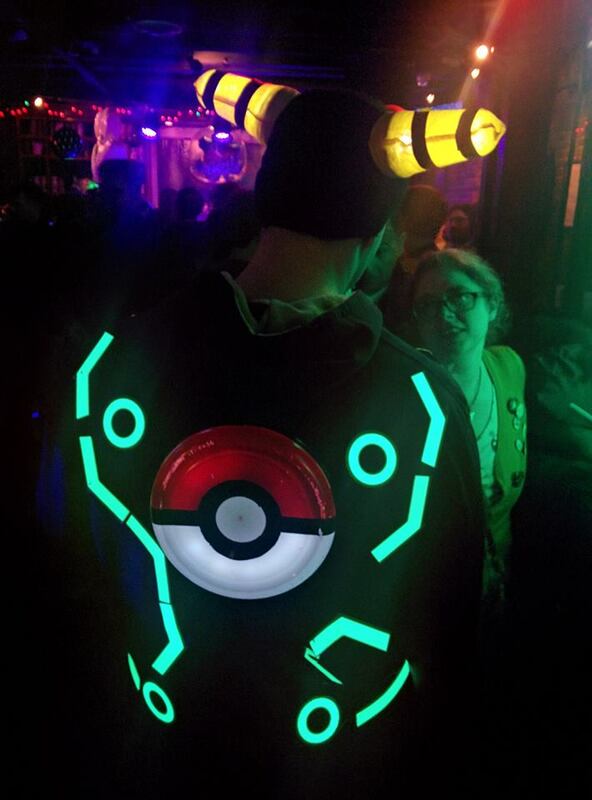 There is nothing like 80 folks dressed in various Pokemon themed clothing descending on a bar. Cars honk, people high five and the bars know us well enough now that special Pokemon drinks are offered. Obviously a pubcrawl is not for everyone, but each and every year I meet great new folks and as long as moderation is employed it is a truly great time. PREGAMER: PAX East Edition – This event hosted by Playcrafting is a chance before PAX starts to check out a bunch of Indie games and meet some fellow PAX goers. Hosted at the LAUGH Boston in the Westin this is setup like a nightclub mini expo hall. Developers have stations with mobile, PC, console and board games setup throughout the space. 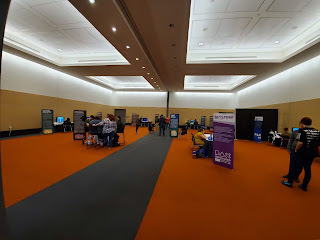 It is always great to walk through the space and chat with some of the smaller Boston devs and see what they have going on. I invariably run into some old friends and as there is a bar and some snacks some fun is always involved. 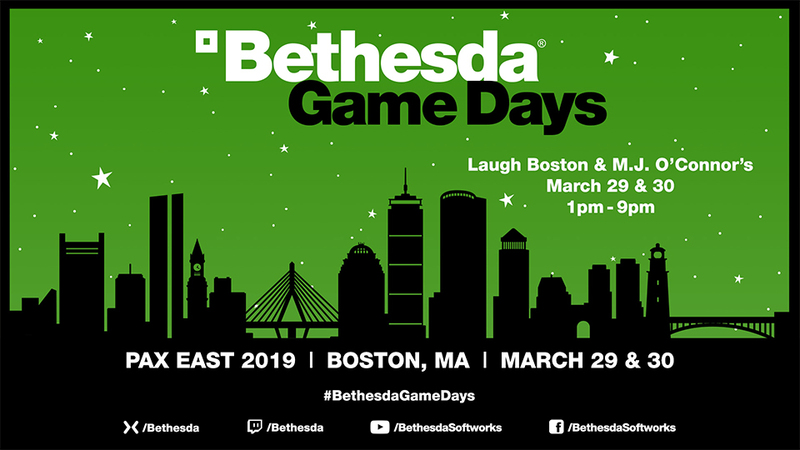 Bethesda Game Days - This one is exceptional in the fact that Bethesda books out a restaurant and Laugh Boston in the Westin and rebuilds it as a custom space to show off their current and upcoming games. Not only do they show their games they also host panels with most of their key team members across two full days. Admittance is free and first come, first serve with food and limited drinks available to all who attend. This year they showed off Rage 2, Elder Scrolls Blades, Fallout 76 and the new ESO expansion. They had major players including Todd Howard on hand to discuss all the things they were working on. The scale and scope of this two day event is pretty amazing. Not only do they feed attendees Bethesda also showers everyone with swag including a free game days shirt (which is quite nice) and other stuff from each game. Bethesda is very interesting organization in that they don’t like to conform and prefer to call their own shots, this event is proof of those beliefs. I have to say with all the missteps they make, Fallout 76 being on everyone’s minds now, it is great seeing them really speak directly to the fans with events like this. Another PAX mainstay is the massive Acer Predator party that always happens on the Friday night at a massive nightclub in Boston. This year it was at the House of Blues and was a crazy night from start to finish. Free for attendees but first come , first serve this is the party everyone wants to go to when at PAX. There is always fun esports tournaments happening live, killer DJs and plenty of contests and swag given out to attendees. DJ MissNINJA and EDM group Pegboard Nerds were amazing and got the huge crowd moving throughout the night. I wasn’t as big a fan of the games the teams were playing, Rocket League, but it was fun watching a pro team go against fans and losing at times! 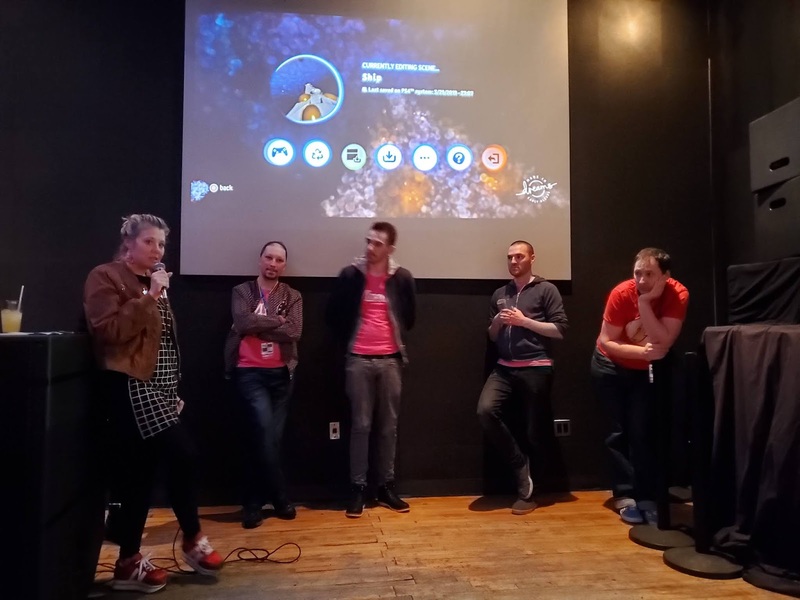 Media Molecule is an iconic company best known for the Little Big Planet series but they were at PAX East showing their truly amazinggame Dreams this year. When I was chatting with the team at their booth about the game they mentioned they were hosting an event so I checked it out. Dreams is a really cool game where anything you can dream can be created. The game has a full range of tools to create environments, creatures, people, interactive paintings, sculptures or anything you want. It really is indescribable – just check it out. At the community event most of the lead team was there, producer, programmers, artists and audio experts. It was a small but intimate event that let us chat with the team directly, ask questions and play some fun competitive modes against the team. The main show floor hours of PAX East end at 6pm but there are plenty of things to do until the BCEC closes its doors at midnight Thursday – Saturday. 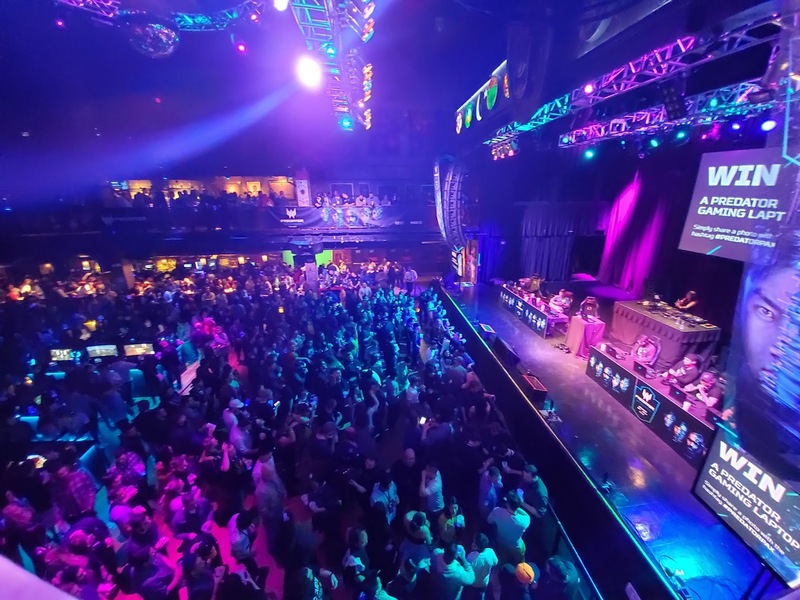 Concerts and Live Gaming – Every year there is at least one night of concerts and this year it fell on Saturday night with Doubleclicks, Bit Brigade and the Video Game Orchestra. These video game inspired bands always impress the crowds with crazy sessions keeping the main room hopping till midnight. On Friday this year Penny Arcade hosted an AcquisitionsIncorporated game night with Omin Dran (Jerry Holkins), Jim Darkmagic (Mike Krahulik), Viari (Patrick Rothfuss), Môrgæn (Morgan Webb), and Bobby Zimeruski (WWE Superstar Xavier Woods), led byJeremy Crawford as the Dungeon Master. Acquisitions Incorporated has become a phenomenon all on it’s own with a newly reveled official Wizards of the Coast D&D supplement for the group releasing soon. The regular Acquisitions Inc. prime and B Team live streams attract 10’s of thousands of viewers and this game packed the Main theater for 4 hours of fun. After Hours Panels – During the day panels tend to be what you expect, industry chats, mainstream discussions and reveals, but at night things get a little wacky. Talks about who is the best Pokemon, actual gaming bake-offs and wrestlemania themed events are the norm. There is so much to do outside of PAX East in Boston at night, but some of these panels are just so hilarious and well worth checking out. Pinny Arcade Community Trading – Introduced I guess about 5 years ago the Pinny Arcade Pins have become a HUGE part of every PAX. Exhibitors clamor to be part of the official pinny hunt process and the hosts, enforcers are always part of the trading community. At night though there are always events to get together, chat and trade for the elusive pins you could not obtain previously. Some people are crazy passionate about Pinny Arcade and make it a goal to get all the pins at each PAX. I am not the hugest pin fan BUT I do wear label pins with my suit jackets daily and REALLY wanted the three floppy disc Indie Mega Booth pin so I made it happen! Picked up the Rez one as well (so cool) and got a Media Molecule blob at their event. So there you have it – PAX East is about the games, tabletop and panels but there is so much more to the show because of the community it fosters. There are plenty of opportunities to meet each other and the developers which makes this conference so special. 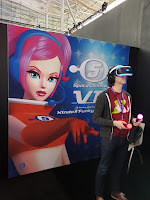 I think it is important to talk about what it is like to simply experience a conference like the Penny Arcade Expo or PAX as it is simply called. The event is so much more than games, panels and large crowds, it truly is about community and inclusiveness and it makes every PAX a great experience. This conference is held in Boston, Massachusetts and is the only major gaming show on the East coast anywhere near this size. There are also PAX shows in Seattle, San Antonio and Australia at different times of the year. 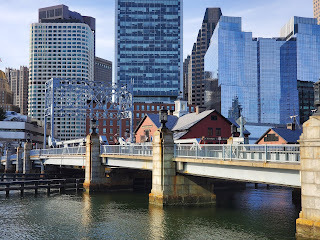 PAX East is typically held anywhere between mid March to late April. 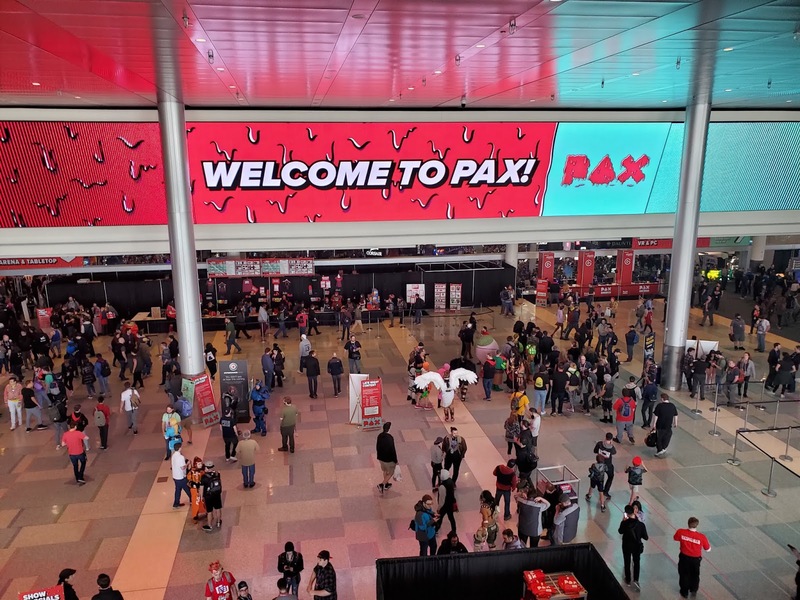 This is now a four day event running Thursday to Monday and tickets for PAX East typically go on sale 6 months before the event due to very high demand. Friday and Saturday passes typically sellout within days so if you have a keen interest to go keep and eye on the PAX site or the @pax_badges twitter account for ticket launch dates. OK so we all have passes, hotels and transportation figured out - now what to do at the show is on our minds. A month or two before the event the schedule is released showing all of the panels, exhibitors and most importantly the floor plan. With these tools it is easy to block of what talks you want to visit, what developers and games you want to check out and how to spend you many hours during the convention. 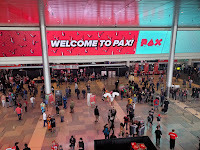 The BCEC where PAX East is held is MASSIVE so pack comfortable shows, clothes and bring plenty of snacks as getting in and out for food can be tricky. A reusable water bottle is a must have as there are water stations everywhere. A word of caution PAX East gets VERY crowded and they have pretty strict security lines to enter the facility. Pack smartly and prepare for lengthy lineups if you want to get in the Expo hall early each day. So very much is the real answer. 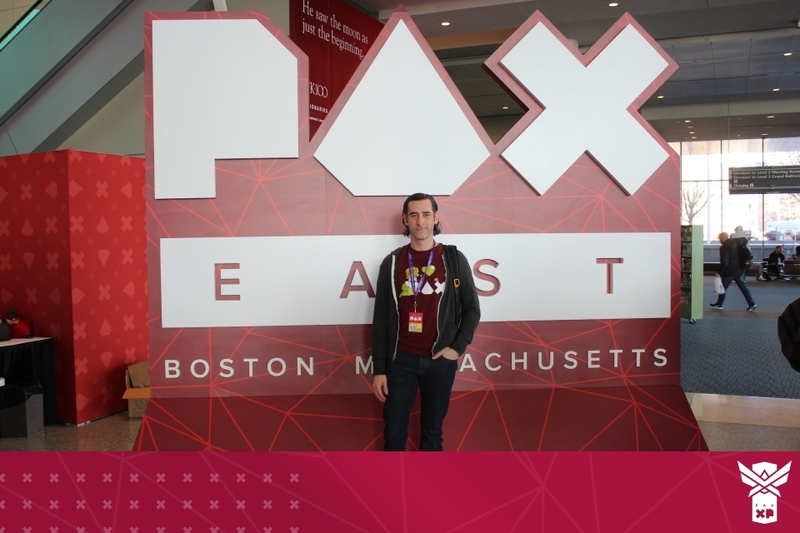 PAX East has as focuses on three major things. Panels, The Gaming expo hall and the Tabletop area. But there are so many side events that are well worth mentioning as well. The Expo Hall houses all the game developers with probably a 65/35 mix of Indie and large scale developers showing their games and products. The hall also has PC Freeplay areas, esports events like this years Mythic Invitational Magic Tournament. Exploring the Expo Hall offers many chances to play games, but also to observe and buy materials from the devs such as the games themselves or themed products. The Tabletop area has tournaments, drop in games, first look areas and places to demo and buy games. I love wandering this area and often drop into a closed deck Magic tournament or a game session for some of the newest boardgames. It is packed start to finish of the show and always fun. The Panels are literally dozens of talks by industry vets, personalities or just interested community members spanning a huge array of topics. In one panel there may be an Acquisitions Inc. game session and another a talk about inclusivity in games or how to fix Fallout 76. The wide variance of talks with up to 4-6 happening simultaneously in different rooms really gives something to everyone who attends. The other stuff is incredibly wide and varied. 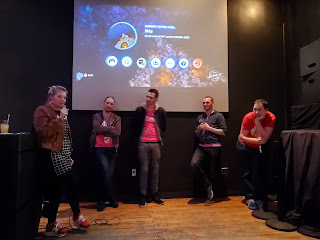 There are console freeplay areas, Intel PC play areas, a Dance Central open arena,, a Kickstarter Lounge, Jackbox game sessions running every day and so much more. Literally around every corner there are diversions, rest areas, quiet zones or fun experiences that are completely outside of the main halls and panels. Big developers and small alike as well as the community also sometimes have side events such as the Bethesda game Days hosted in the attached Westin Hotel which offered two days of free fun looking at their games, getting some food and free swag. The Expo Hall runs to 6PM each day but the show itself runs to Midnight (except Sunday which ends at 6pm) with concerts, large scale tournaments, panels and events running up until the doors close. Is PAX East worth it? Hell yes, the hotels and passes are expensive, 4 days is a big time commitment and the crowds can be intense and overbearing but what an experience. Like everything in life you get out of something what you give into it. If you want a chill quiet experience it is completely doable and if you want a crazy energetic 12 hour nutso experience that is also possible. 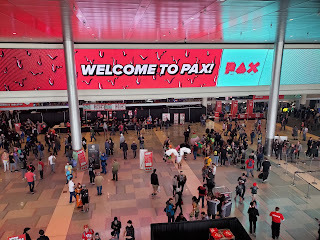 The depth of breadth of the event as well as how strong and inclusive the community of develops, enforcers and fans are make PAX East (and all the PAX shows) incredibly unique and well worth experiencing again and again. Some games are deep, some are tough and others are mindless, but the ones that just make you laugh and hoot while you play are rare. 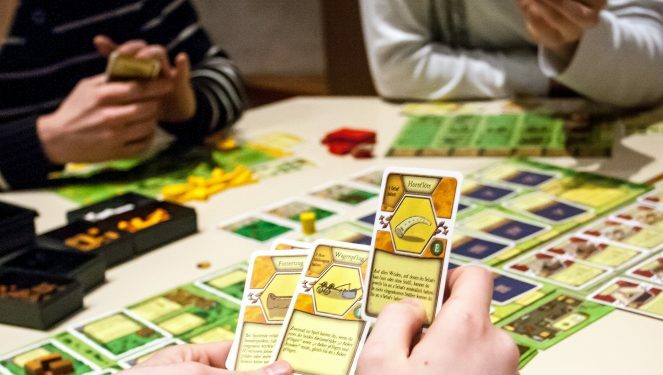 Heave Ho which was revealed at PAX East 2019 made me laugh and grin like a schoolboy throughout my entire play session. At first glance this little game from Independent developer Le Cartel and publisher Devolver Digital seems too strange to be real. I started my match picking what my odd little creature, really just a head and arms, looked like. A number of arm types and head options were available to make my monstrosity unique. Once we had all picked (this is best played as 4 player co-op) the level started as did the fun and shouting. The point of Heave Ho is to simply get to the end of the level and land all of our creatures in the resting spot. Do do this true co-operation and zany antics are needed. Each level has a series of obstacles and all I could do is grip anything – walls, other creatures, myself even, swing and drop. By carefully gripping walls and other players and then swinging our collective masses we could eventually get around obstacles. The hilarity starts when some people lose their grips, or if one of us got tangled or left behind. 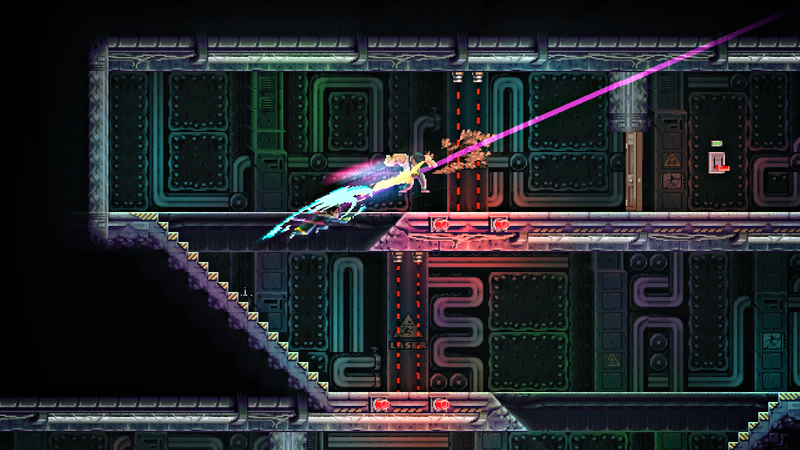 Whenever one of us dropped of the screen the character is shredded and multi-colored goo is flung on the level itself. The sheer ridiculousness of the characters and actions needed to complete the levels is truly a joy to experience and it made me and three strangers buddies by the end of our 30 minutes of playing. Heave Ho is coming out summer 2019 for PC and Nintendo Switch – which if promoted wisely could be a terrific platform for the game. It really is a fantastic co-op couch game and guaranteed to brings laughs from both players and anyone watching. The First day of PAX East is always incredibly exciting. There is an incredible rush walking onto the showfloor to see new games, meet the developers and be enveloped in the sounds and sights of a major videogame conference. I always start my PAX East experience checking out some of the more interesting smaller games and that usually stays a focus throughout the show mixed between the huge titles that dot the expo hall. This year on Day one I checked out Streets of Rage 4, Katana Zero and Dead Cells new expansion early into my PAX East experience. 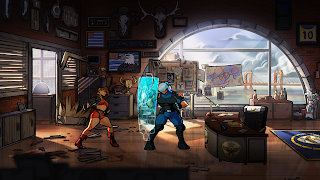 It is always a gamble taking on a sequel to such a beloved franchise as Streets of Rage but the folks at Lizardcube, Guard Crush Games and Dotemu seem to get what makes the series special based on what I saw at PAX East this year. Featuring beautiful hand drawn animation the game looked stunning and featured Axel and Blaze from the original series back for more. The developer has teased additional characters but won’t quite reveal who they are. The action was familiar to me with the expected quick beat em up action the series is known for but with a few new twists. 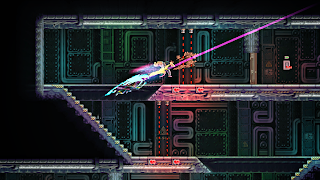 Some weapons can be thrown and retrieved afterwards, there are new special abilities and some enhanced combo attacks. The action was fast and varied with levels having a higher degree of interactivity. Some areas allowed transitioning into the background which adds some depth to the fighting. There are also environmental dangers that can be used against enemies, or stumbled upon if I was not careful enough. Overall the game looks amazing with plenty of new features while maintaining a traditional feel that will make series veterans happy. Streets of Rage 3 was a game I played a ton of far too long ago so I am excited to see what the full experience looks like in this long awaited sequel once it launches. Dead Cells is by far my favorite game of the last 5 years and I was beyond excited to check out their new free DLC at PAX East this year. 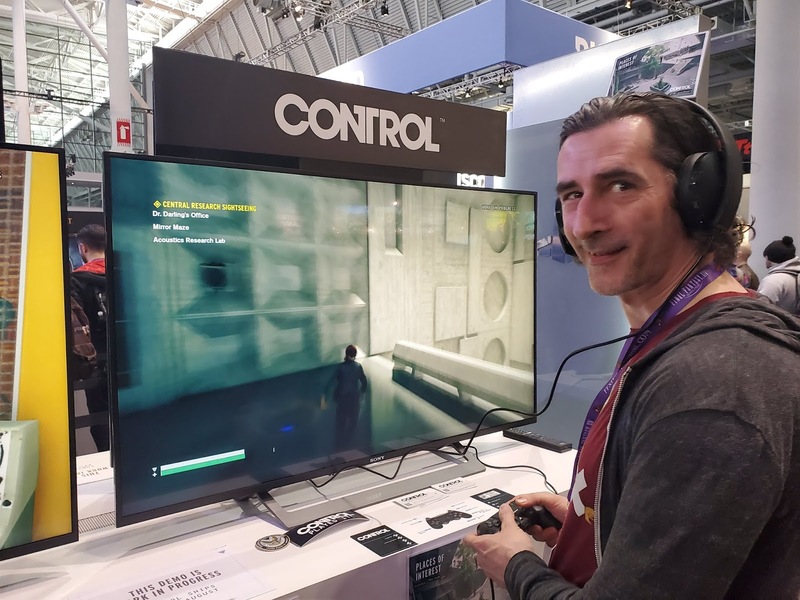 Developer Motion Twin was on hand as I tried it out and told me that they plan to keep supporting the game as if it is still early access. Adding features and tweaks to continually enhance the experience. In this major update they added a new Cavern level after the game is finished filled with traps and leading to a huge new boss. They have also added a ton of blueprints and enemies that are scattered through the main game as well. But most importantly they added nearly 50 outfits that can be obtained via enemies as blueprint drops. Once purchased with cells you can change your characters appearance. This is so incredibly cool in action as the designs are universally amazing. They even added a handful of female models as a starting point to have more choice in the game. The outfits range from replicas of enemies skins to complete overhauls of the characters general appearance. It may seem small, but in action it is really cool to see. I had a chance to play the new level and the boss (who beat me after a long battle) and I was greatly impressed with the work added to this already terrific game. The boss is multi-staged, huge and very impressive and shows a progression in their designs and mechanics which was impressive. 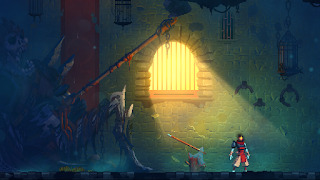 It is beyond impressive how this title is supported and I am looking forward to more great things from them as they continue to enhance Dead Cells. This is a must own game and all the new content just makes it that much more amazing a title. One of the more impressive original games I saw at PAX East was askiisoft and Devolver Digital’s new title Katana Zero. 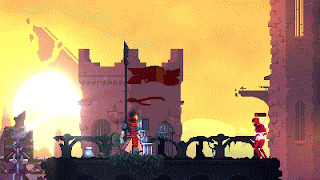 At first glance it seems just like a pixel art rogulike action game but as I played it I realized it is so much more. 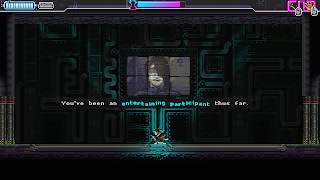 Set in a neon infused cyperpunk world the game revolves around an amnesiac assassin who receives his orders from a psychotherapist after sessions. The actual depth of story surprised me as I was expecting a pretty cut and dry action game. In between each stage there is a therapy session where my character can either answer questions on a timer or simply demand medication. Once the sessions ended I got a new dossier detailing my next assignment. The actual ability to make dialogue choices that have consequences was very cool - one in particular I made by accident and it impacted me after the mission. I was rude to a receptionist at a building I was entering and after I completed the stage I was chased out by guards because she was angry. Was a very nice touch. The action is even more impressive with a pretty cool way to represent the insta death many roguelikes have. The character is precogniscent so when I played a level I was essentially ‘planning it out’, if I died then I would start planning again. Think Doctor Strange's time bending abilities where he sees all the alternate paths possible. There are traps, doors, different guard types and the ability to deflect and attack in different ways which makes the runthroughs always interesting. There was even stealth sequences where I could blend into a dance crowd or go behind walls to evade guards and sneak attack them. The levels themselves were also quite interesting with a range of objectives and some surprises like an end level battle that ends with the boss avoiding the fight by falling to his death instead. Katana Zero was terrific fun and surprised me with some of it’s innovative features. 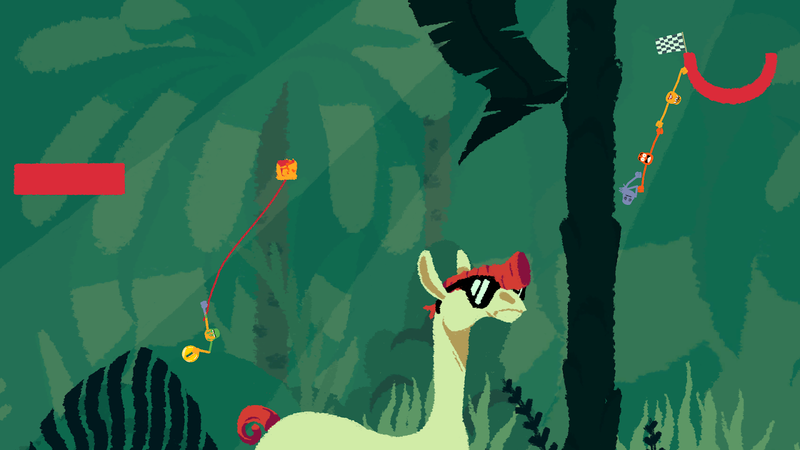 It is also a game coming out REAL soon on April 18th for PC and Nintendo Switch. I literally saw dozens of games at PAX East this year but the one I have thought most about is No Straight Roads from Final Fantasy XV‘s lead game designer Wan Hazmer & Street Fighter V’s concept artist Daim Dziauddin’s new studio Metronomik. This game is a little hard to describe but it is a crazy colorful, fast paced, frenetic action adventure game with audio as the key focus. The two characters, Mayday and Zuke battle through environments using music to transform items into weapons and anticipate the enemies by listening to the beats of the audio in game. The story of No Straight Roads is out there as well in all the best ways. Mayday and Zuke want to fight the tyranny of an EDM label that has taken control of Vinyl City and banned all other types of music. They battle to bring free music of all types to the people. I had a chance to sit with the development team and try two different stages of the game each featuring vastly different bosses and level designs. I have to say I was incredibly impressed with the game and I have not even seen any of the progression, customization or true depth of the title. The characters are wacky and original, the music is infectious and really adds to the depth of the gameplay and the visuals are simply striking. Metronomik has really established a strong visual look and feel with this title that really stands out when you see it in action. 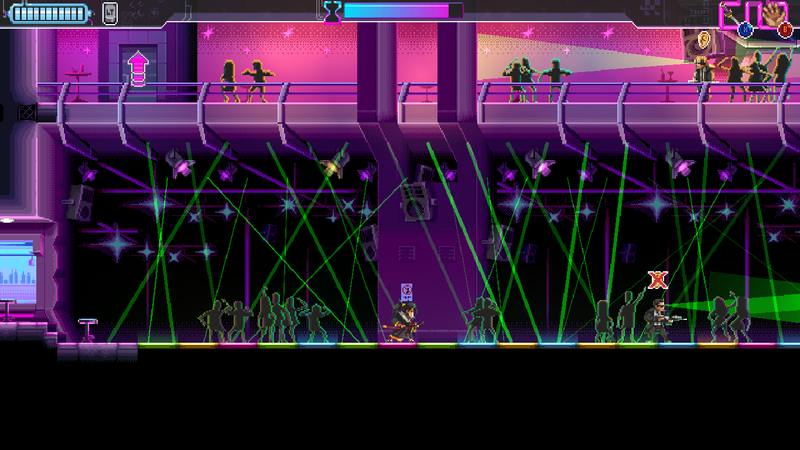 The gameplay itself is quite fun as each of the characters has a different effect when they use their music. They also have normal physical attacks and can fire ranged blasts when music notes are collected. The key though is listening to the audio, it often cues when attacks are about to strike. Really though the key to this game is the unique style and vibe that just oozes out of No Straight Roads. I played both demo levels and wanted more right away. In speaking to Wan Hazmer from Metronomik they are incredibly excited to show more and bring this game to as many people as possible. 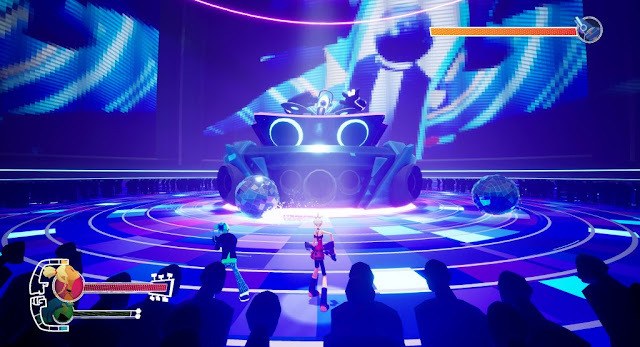 He let me know that these demos show just a taste of the full game, there will be customization options, plenty more bosses and a co-op mode so two people can take the fight to the EDM enemies. 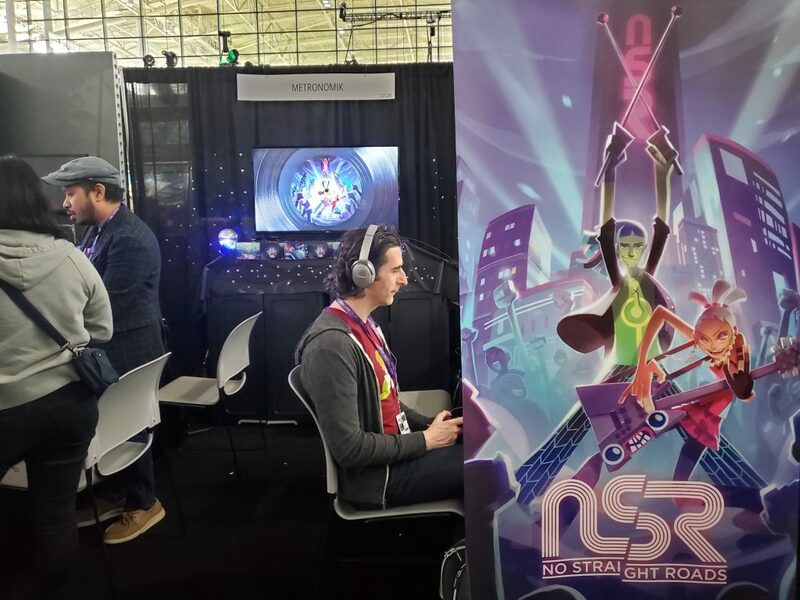 No Straight Roads is due out later this year for PC and Playstation 4 and I can’t wait to dive back into this great looking game. Crash Team Racing was released nearly 20 years ago, which is crazy because I remember playing this game for hours on end like it was yesterday. But memory is a fickle thing, and it has been a long time since the original game came out. 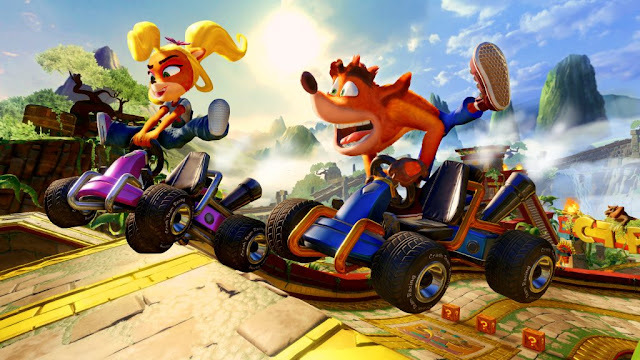 Seeing Crash Team Racing Nitro-Fueled, the remaster headed up by developer Beenox, it is clear they have done wonders faithfully remastering the CTR experience. The concept of Crash Team Racing (CTR) is pretty simple for anyone who has played a cart racer before. 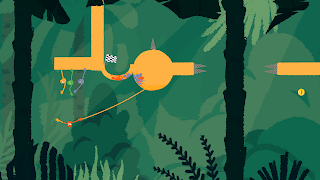 A character from the Crash universe of games is selected and players compete solo against the AI or online with other players using traps and weapons to sabotage the playing field and win the race. I was able to meet with the Beenox team and Activision at PAX East to check out what they were doing with CTR after all these years, and I came away impressed with not only their passion but the quality of the remastered game. They leveraged the core geometric assets from the original titles to ensure the levels felt just right for experienced and new CTR players. They had a key mantra to make the game feel modern but also be something players of the original would feel instantly at home with when running through the tracks. The team did not simply recreate the original game’s levels, they also introduced levels from the sequel Crash Nitro Kart in the form of tracks and characters. 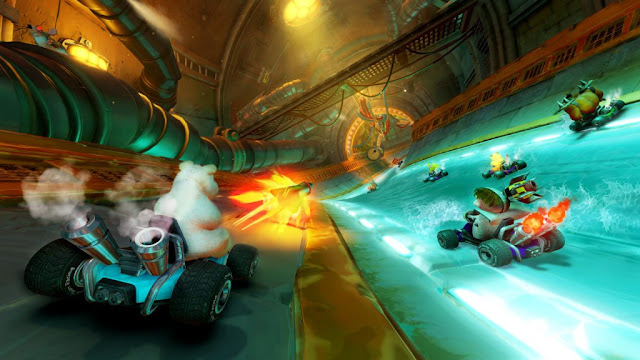 New characters can be unlocked through adventure mode, which is a full game mode next to the competitive racing and arena modes from the original releases. The original game was on PlayStation 1 so the displays were at 4:3 aspect ratios. To make the game look great on 16:9 displays Beenox had to fill in a lot of extra detail, but also make the experience feel the same. The developer told me how they painstakingly compared the cart position in the legacy and new versions to maintain familiarity and accuracy to the source material. 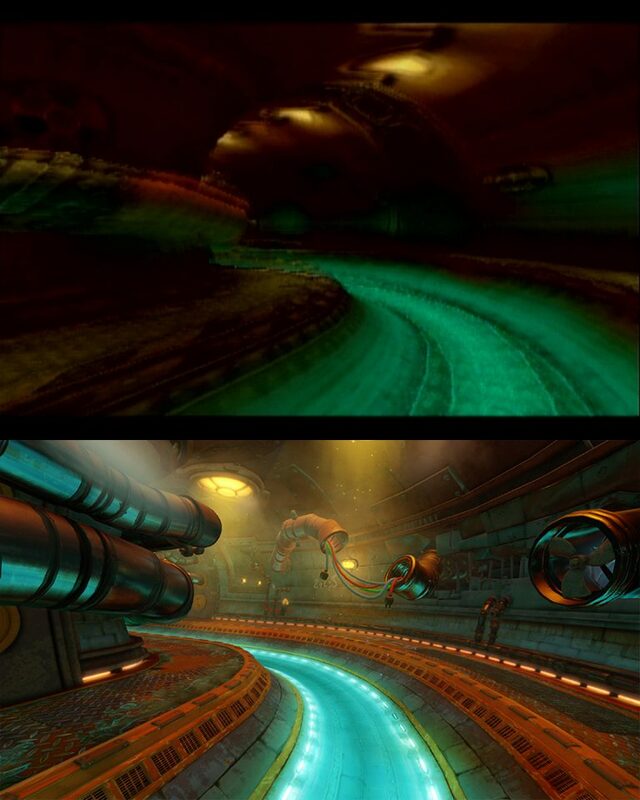 The levels are incredibly rich now, with a ton of environmental additions that enhance the immersiveness of the racing experience. The hazards, traps, and general surrounding areas of the levels add a ton of vitality and richness to the experience I didn’t know was missing till I saw some comparison shots. Coming away from the demos, I had a ton of fun with Crash Team Racing Nitro-Fueled but I am a little unsure of the space it can fill in today’s landscape. As the team has not added any new functionality or new campaigns it is essentially an incredibly shiny version of the original games. This doesn’t make it bad, in fact it was really fun to play with other people, but it is hard to say if it will have the penetration it had in its original iterations. If it does take hold then a lot of people will have a great time and I will enjoy racing them online in this well-done remaster of the Crash Team Racing franchise. The Far Cry games have always intrigued, entertained and annoyed me all at once. The gameplay is always tight and varied but often falls into repetitive and meandering patterns with a smattering of great story moments. 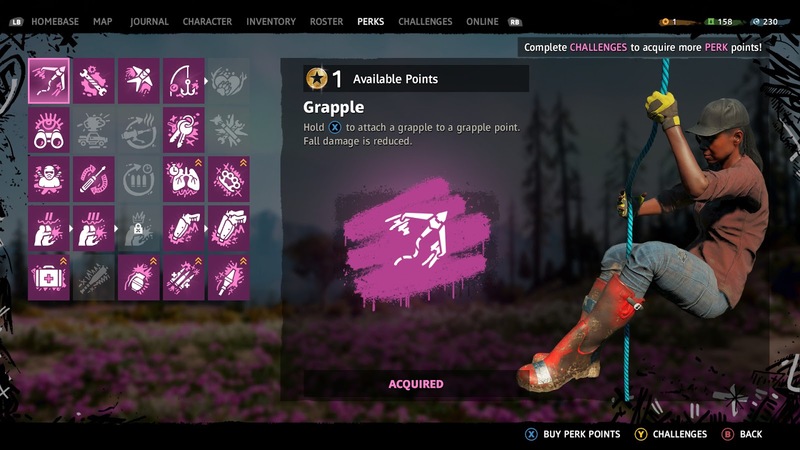 Far Cry New Dawn has all of these same characteristics, but all the pieces finally fell together in a way I truly enjoyed throughout the experience. 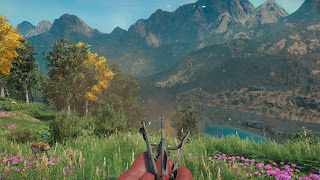 The premise of New Dawn follows the end of Far Cry 5 which had Hope County devastated by a nuclear blast. The entire country (and potentially) world has been affected by a nuclear exchange and the people of Hope County hid in bunkers and emerged to rebuild. Forgetting real world science and assuming the radioactive fallout would not kill everyone. The action picks up 17 years after Far Cry 5 and my character entered the remains of Hope County in a train as part of an aid caravan. 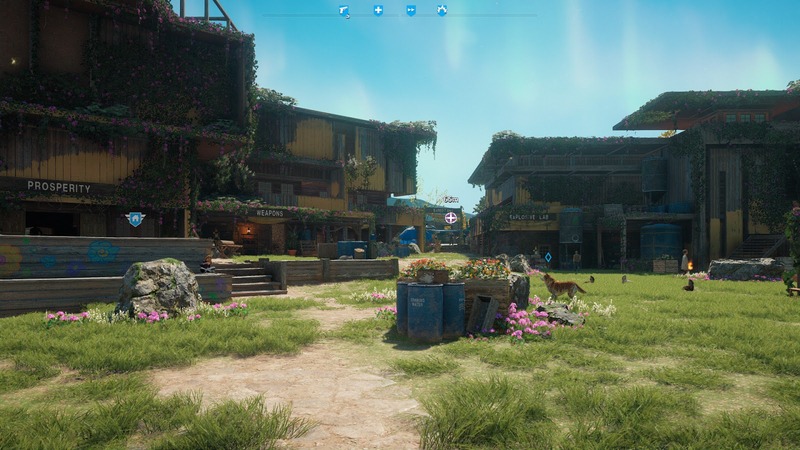 This world, now post apocalypse, is not the barren landscapes of a Mad Max or Fallout mythos, but instead vibrant, colorful and frankly beautiful. The train is attacked by the new villains, twin sisters Mickey and Lou, leading a faction called the Highwaymen and my character is left to save the day as per usual. What is not standard is the delineation between good and evil. In many of these games like Far Cry, Uncharted and Call of Duty you are in the role of the ‘good guys’ but many hundreds of people die at your hand. This is often explained by opposing truly evil people as demonstrated by their in game actions. In Far Cry New Dawn that line is much grayer. Like the Highwaymen my core focus is expansion, gaining resources and protecting my people. Like the Highwaymen I only recruit people who can help my cause, there is literally no way to bring randoms into my base outside of the key personnel who can make a difference. Much like the ‘heroes’ of the Walking Dead sometimes both sides do horrible things. Now the twins show their ‘villain’ card a number of times in various fairly heavy handed ways. 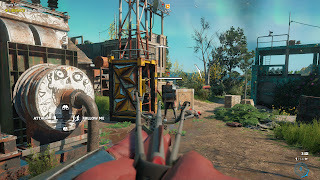 This makes it is easier to justify my somewhat mirrored actions to eliminate them and their people from taking advantage of the survivors in Hope County but that contrast is certainly there. The reason this game clicked with me is the ridiculousness of the vibrant post-apocalyptic world as well as the re-emergence of Joseph Seed. Later on in the game essentially super powers are introduced that allowed me to truly just enjoy the experience as a fun popcorn flick style narrative. Similar to how Saints Row IV went (even more) ridiculous with super powers and became the best game in that series. 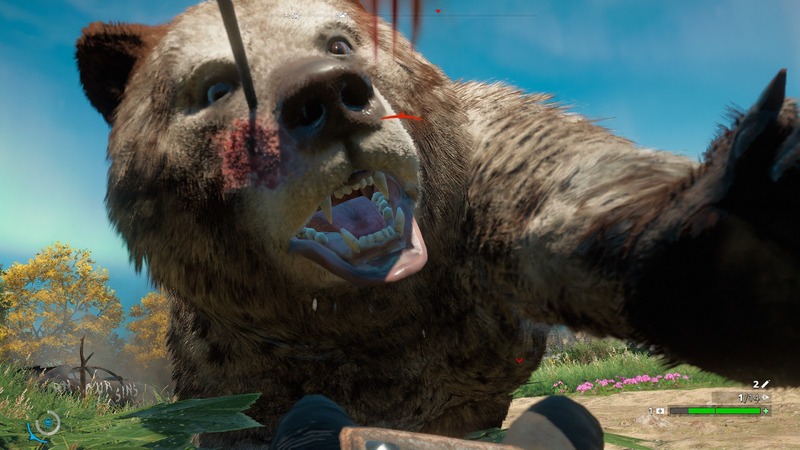 Once I had my teeth into the game I realized once again that the Far Cry mechanics are pretty fantastic. Stealth weapons rule the roost with bows, the truly epic saw launcher and silenced weapons introduced and used ad nauseam in my playthrough. The ability to craft weapons, special ammo and vehicles is really cool as well and adds to the variety when running through the world. The RPG mechanics added or expanded such as skills, the ability to upgrade the home town of Prosperity and treasure hunts are also welcome additions to the series. Prosperity is an interesting hub where certain portions can be upgraded to allow more crafting, traversal and ability options. Another great addition to the Far Cry formula is expeditions. These are essentially out of story raids on beautiful set pieces like aircraft carriers or mining towns that I could trigger by talking to the local pilot and even replay on harder difficulties. These expeditions rewarded me with valuable resources and frankly were plain fun to experience. Settlements are another neat aspect of New Dawn and are dotted around the map encountered naturally or tagged on the map by survivors. Once the settlements are freed they generally rewarded me with plenty of resources (especially the key one Ethanol) and are mini hubs that can be used to launch from. They can also be ‘scavenged’ which allows the Highwaymen to reclaim the sites so I can take them back again against tougher odds but for higher rewards. 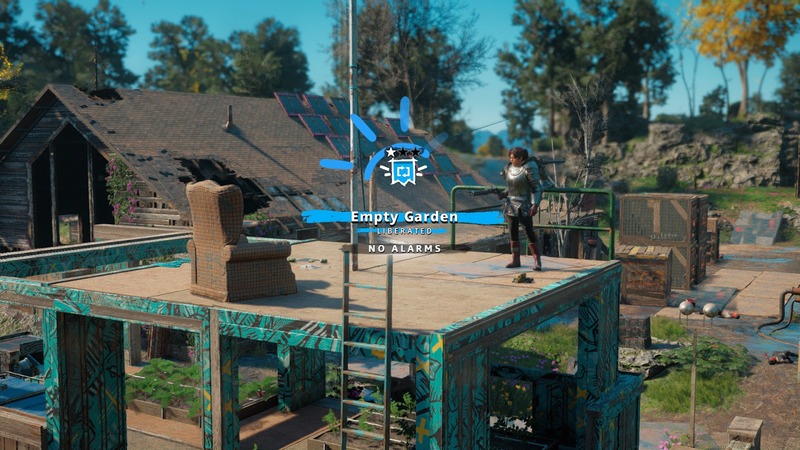 Between the expeditions and settlements there are also Treasure Hunts similar in idea to the Prepper Stashes to Far Cry 5. These treasure hunts are also queued by the survivors I met but were always accompanied by some truly fun story beats. Sometimes it was a crazy machine I had to figure out, other times it was following the trail of an unlucky survivor just trying to stash his stuff and dogged by animals and bandits. They always reward with perk points, far cry currency (which can also be bought with real money) and plenty of resources. These three side ventures are completely optional (aside from some key story based settlements) but add a truly enjoyable way to grind for resources and abilities in the game. I hesitate to even use the word grind because I found stealth clearing settlements, battling trough expeditions and discovering the treasure hunts to be really fun. Throughout these side ventures and the main game the core mechanics of Far Cry are pretty fixed. I established footholds in new areas, hunted animals and bad guys, fired a lot of weapons and traversed the map in all sorts of weird and fun ways. 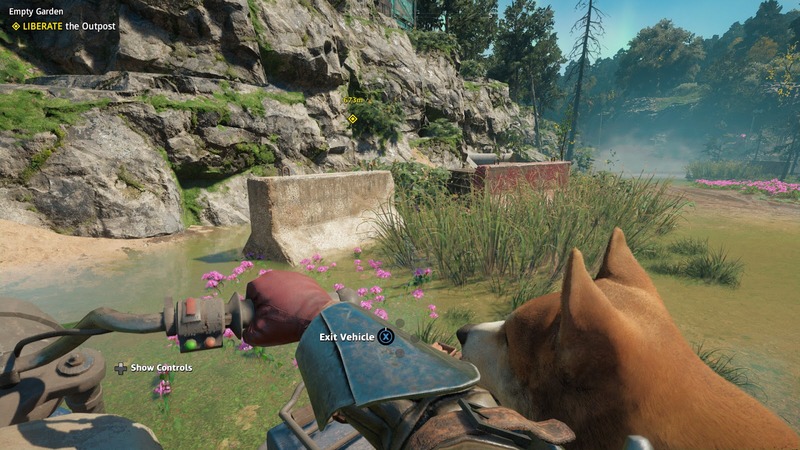 There are a host of companions varying from the truly annoying Hurk and interesting Pastor Jerome to animals like Horatio the wild pig and Timber the dog. All of the companions level up as they take out enemies with you gaining new abilities. Timber was hard to displace for me as the dog could actually see more and more resources and enemies (even through walls) and flag them to me as he levelled up. Removed a lot of the annoying searching for resources. Plus he is so damn cute! In the end Far Cry New Dawn was a truly enjoyable game for me once I embraced it as a silly popcorn style action experience. The mechanics are proven and amazing, the new and expanded features are truly fun and they actually made a post apocalyptic world look beautiful and fun to explore. Far Cry New Dawn is available now on PC, Xbox One and PS4.